Sugar is an amazing CRM system that has been recognized in the latest PC Magazine’s research. However, everyone knows that “there is no limit to perfection”. If you want to make your work more efficient and convenient, pay attention to the following SugarCRM add-ons and extensions. 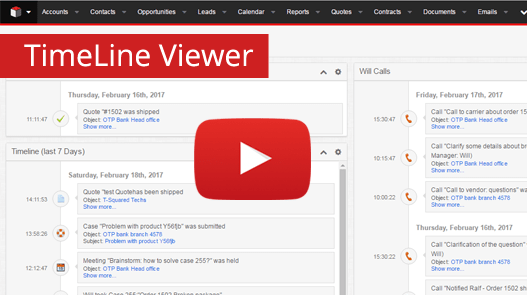 This SugarCRM add-on enhances a holistic picture of customers by allowing you to view the chronology of the most significant events in the single window. The possibilities to define key business events, filter them, view details quickly, use reporting – all features of the SugarCRM add-on dramatically save your time and make your work much more convenient. 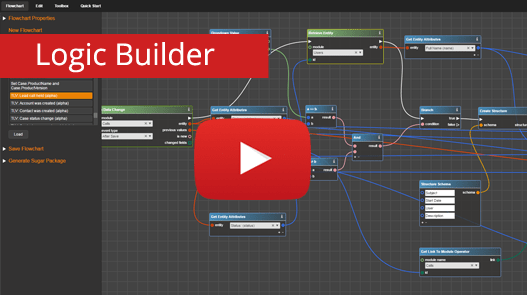 Logic Builder is a cloud based powerful visual scripting environment for SugarCRM customization. The distinctive feature of Logic Builder is that its usage does not require any programming knowledge. This means that you do not need developers’ help; thus, customization gets much less expensive. 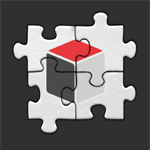 The SugarCRM tool also accelerates customization, as there is no need to code from scratch – instead, Logic Builder allows creating multipurpose reusable elements. Last but not least, due to the above-mentioned benefits, Logic Builder helps to improve user adoption as you do not have to compromise between cost and convenience, so even the most demanding users always get exactly what they want. 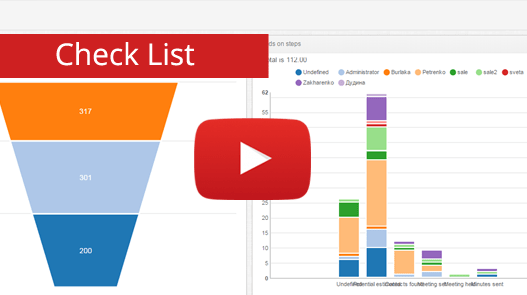 Check List is a SugarCRM add-on for those who want to be more productive. Check List allows applying corporate best practices for work with SugarCRM leads and opportunities. New sales reps will come on board faster as all the employees can access the information. The business is also protected when key sales reps leave the company – you will not lose your corporate best practices anyway, and other employees will get into the swing of things immediately. Everybody knows about the great impact of mobile technology on sales performance. 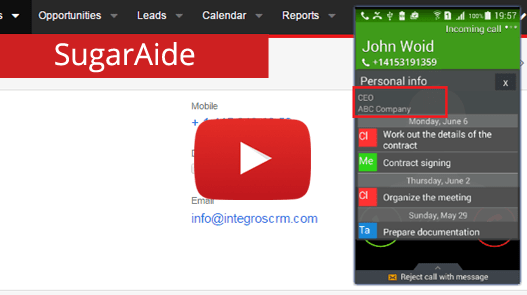 SugarAide, a SugarCRM extension for a mobile, is designed to save your time and nerves – it syncs all valuable contacts from SugarCRM with smartphone’s address book, pops up contact-related info during incoming calls and sends the most significant notifications from SugarCRM right on a mobile. This is so convenient! Do you use SugarCRM add-ons in your work? Which ones do you find the most useful? Please, share your experience in comments.